Here is the photo of Nana in the Jeep, when she was a school girl in London. On the back of the photo it says it is ‘Salute Soldier Week’ 1944. 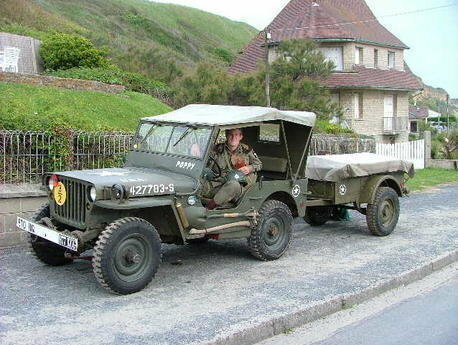 Nana says the Jeep came from the airbase at Northolt. Girls and Boys in jeep are presumably friends of Nanas at school. Photo of Dads Jeep and one of our sons Jeep. Ben and his dad have been to the 65th D Day celebrations in Normandy in Poppy (the Jeep) some new photos of Poppy suitably stenciled to replicate Nana's childhood Jeep.